As part of my usual Monday / Tuesday duties (aka an attempt to put myself back in order), I am currently briefing new projects (many exciting things coming up), editing finalised stories as I multitask dividing my fingers between the laptop and the hangers, jiggering samples back into order. Lingering between tasks of the deadline variety, I am already on the 3rd double espresso. Fyi, it's 11 am. (Finally!) time for the dotty land edit with MARELLA! Our bet with Maxima is still going strong and I am loosing big time. Marella is yet another brand to add to my yes please! portfolio (raised hand emoji, hashtag gimme gimme). Black and white dots, right to the point, the flowy Autumn dress I was hunting for longer than eternity. An - always on trend - parka to take a bite out of all the femininity and a dreamy bucket bag to top it up. Nice n' easy. One thing’s for sure: The Italians know a thing or two about good fit and how to make a woman feel awesome in their clothes. Così ... when the brand invited me to host their upcoming event letting me play with styling, guess what my answer was. Duh! 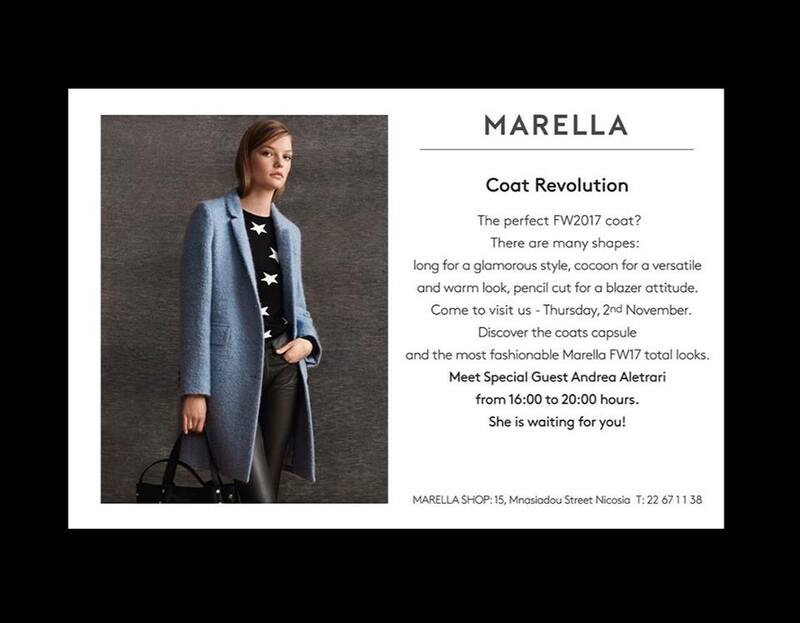 All about this season's coat, and oh believe you me, Marella does the trick. This Thursday.. You are all invited if you are around! Drinks, chit chat and clothes! Sounds perfect to me.